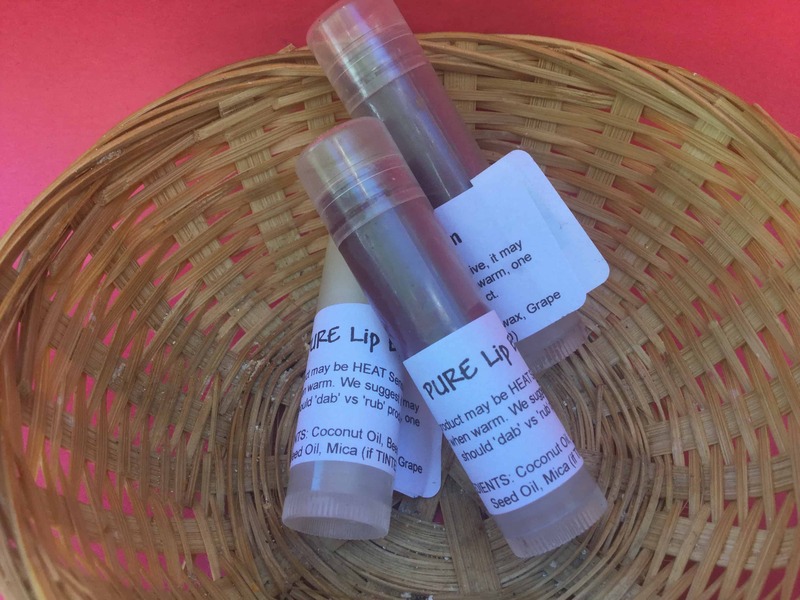 Clear or Tinted (with Mica or Iron Oxide) our Lip balm is a balance of Coconut Oil, Grapeseed Oil and Beeswax along with a small amount of Castor Oil to add softness and shimmer. Our Lip Balm is NOT waxy, softens and moisturizers leaving your lips very comfortable. If tinted, the colour is very soft and can be used as a blush as well. -Orders containing custom items will be shipped as soon as all items have been completed. -All items from this shop will be sent as a single shipment. -For international, overnight or other custom shipping needs please contact seller through the messaging centre. -International orders will not be charged tax at the time of purchase but payment for any duties and brokerage fees that are acquired at the border will be directed to the receiver of the package. -In the case that an item must be returned for a refund or exchange, make contact to discuss the proper course of action before before sending them item. -Items that arrive unexpectedly will not be accepted as a return, and any request for shipping payment will be refused. -If you have specific delivery confirmation or insurance needs for your package please read the carrier policies to see what is offered, and select your shipping method based on that. You are entitled to cancel your purchase in writing (ThivingLocally message centre) within 14 days without specifying reasons. The time limit begins with the receipt of the invoice received. Only the timely sending of the cancellation shall suffice for the purpose of complying with the cancellation time limit. In the case of an agreed cancellation, any product or service already received but not used can be returned. The purchaser is required to pay for the cost of shipping of the purchase unless otherwise agreed by the shop due to shop error for example. If you are wholly or partly unable to return the purchase received or can only return in a deteriorated condition, the buyer is obligated to pay compensation for product or service already rendered. Shop will refund payments within 45 days. The time limit begins for you with the sending of your cancellation notice. PURE Wisdom ‘4’ Life, Inc.
All of our products are handmade with natural ingredients using our own recipes. They are tried and true first on ourselves, then on our friends and family. We strive to please and feedback is very welcome! We do not make health claims. Allergies are a very real concern. We always recommend a spot test (24 hours) prior to using a product fully in case of a reaction. Just because a product is ‘natural’ does not mean it is without issues. All ingredients are listed in order of volume (largest to smallest) on the labels. In addition our contact information is listed on the label. The intended use of the product is clear with its name – none of our products are intended for ingestion. Packaging is intentionally minimized and designed to reduce our carbon footprint. Re-use and refill is encouraged. We can ship our items or deliver or they can be ordered then picked up. There are retail locations on the Sunshine Coast. ThrivingLocally is an eCommerce marketplace where Canadian sellers can sell their products and services online to thousands of customers.